Founded in 2015, Fastbase is one of the fastest-growing software companies in the world within Big Data. Fastbase analyzes over 6 billion website visitors from over 985,000 companies and top brands from around the world. Identify your Google Ads visitors 360 days back. Sign in with Google Analytics for free. Select your plan later. Discover and interact with new potential customers. With the new Google Ads Click Identifier, in just one click you can freely access all the companies and organizations that have clicked on your Google ads. The new tool reveals detailed information about the businesses that have interacted with your ads including company name, website, address, phone number, contact and email information as well as the keywords searched and the advertisements that were clicked on. The Google Ads Click Identifier helps you understand, optimize, and streamline your best-performing ads and provides unrivaled data about the hottest leads that are interacting with your ads and website. 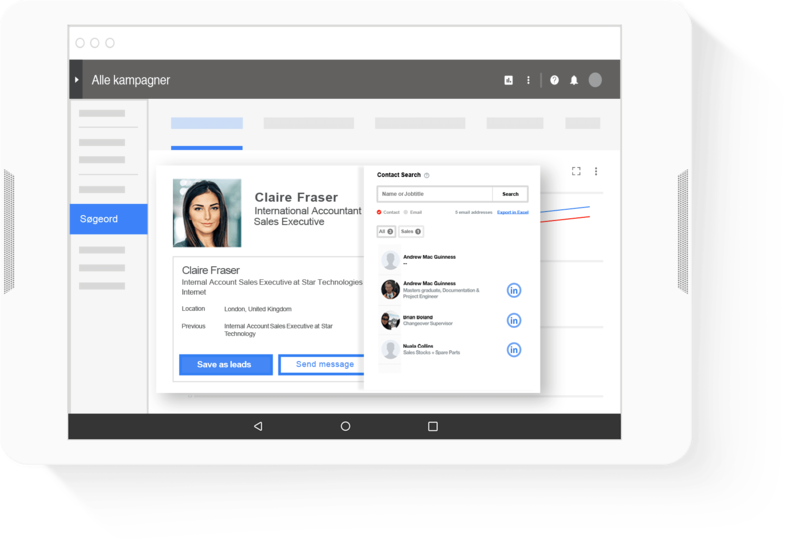 Start a new Google Ads campaign today using the Google Ads Click Identifier and get one-on-one support to identify your target audience, select the best keywords, and pick the right locations for your ads all while getting up to 66% more website leads. The Google Ads Click Identifier software manages your Google Ads’ campaigns 24/7 and offers ongoing suggestions for improvement to get even better and more leads. Begin your Google Ads campaign today starting at $75/month and get leads sent directly to your inbox.